Home » Bathroom » Congas: a bathroom in the sound of music! Congas: a bathroom in the sound of music! Congas, the new basin proposed by Regia, recalls the name and the shape of the musical instrument used by African-American slaves to express their emotions and to accompany the traditional songs. 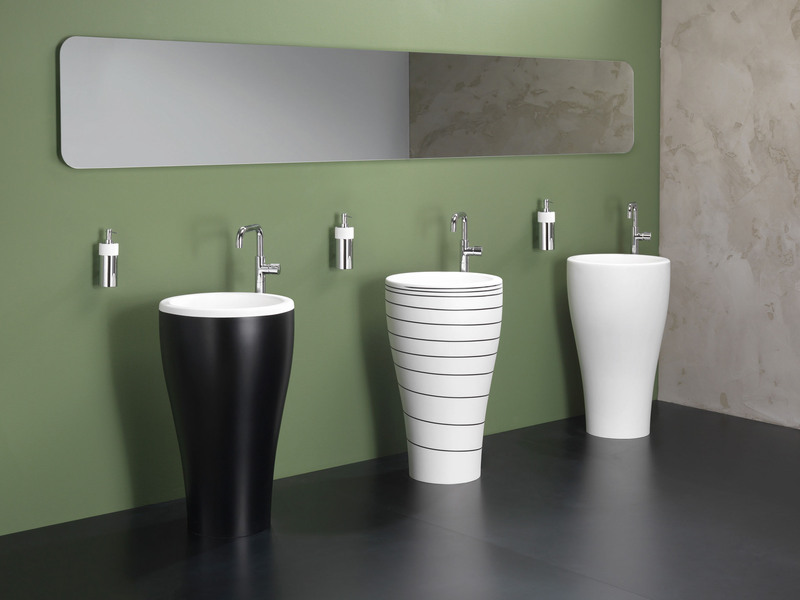 Similar to a tall and narrow drum, the basin has been implemented in a single mold tecnoglass to give rise to a unique to its kind. With the project Congas, Bruna Rapisarda- the designer company, wanted to satisfy a need for new forms and emotions in a bathroom that has become too formal. Working on the lines, in particular capturing their softness and imagining drum which is sinuous and endless, Regia created a free standing sink in a strongly innovative concept, featuring a large bathtub and available in a wide color gamut. It is available all over the world in all colors of the Ral and, to satisfy the public’s trendiest – it was also a version decorated with graphics in black and white variants.